This little guy’s 1 year birthday was fast approaching and Mom and Dad had grown tired of the Cake Smash photo session. All of their friends were doing it with their one year old cuties and they wanted something different. I had seen an idea that I wanted to try and they loved it. 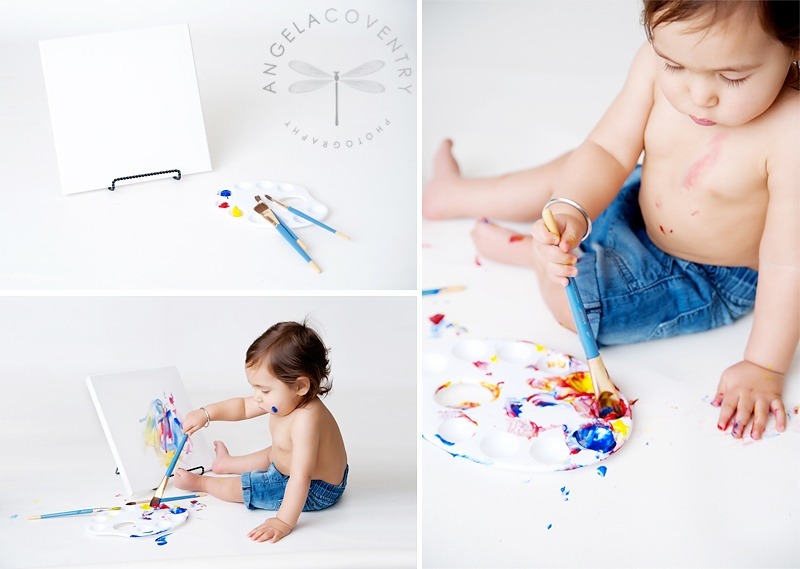 I went out and picked up some child safe paints, brushes and a canvas to prepare for their 1 year painting photo session. Fast forward to their session date…this little guy wasn’t sure what to do at first so Dad had to give him a little help. After that he got the hang of it and painted a masterpiece for Mom and Dad to cherish. I still love Cake Smash photo sessions, but this Artist photo session is a fun change. If you’re looking for something a little different send me a message and we can schedule your one year Artist photo session. 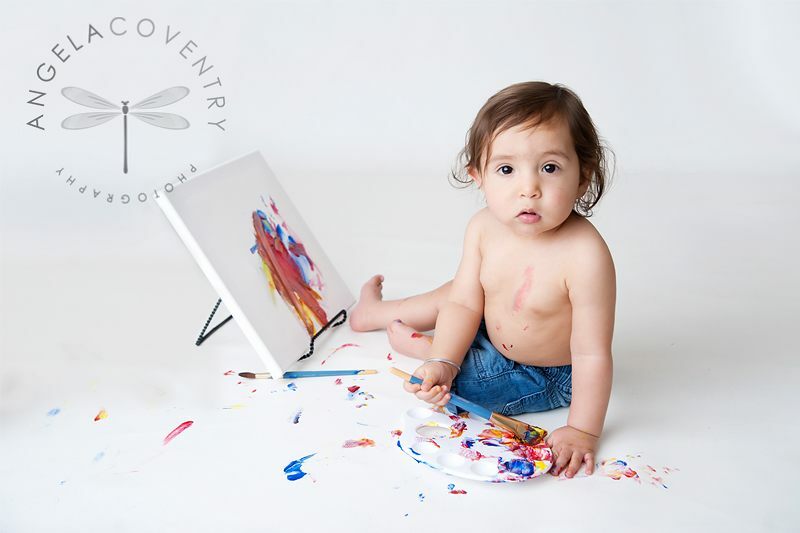 You’ll also take the canvas home with you the day of your session.